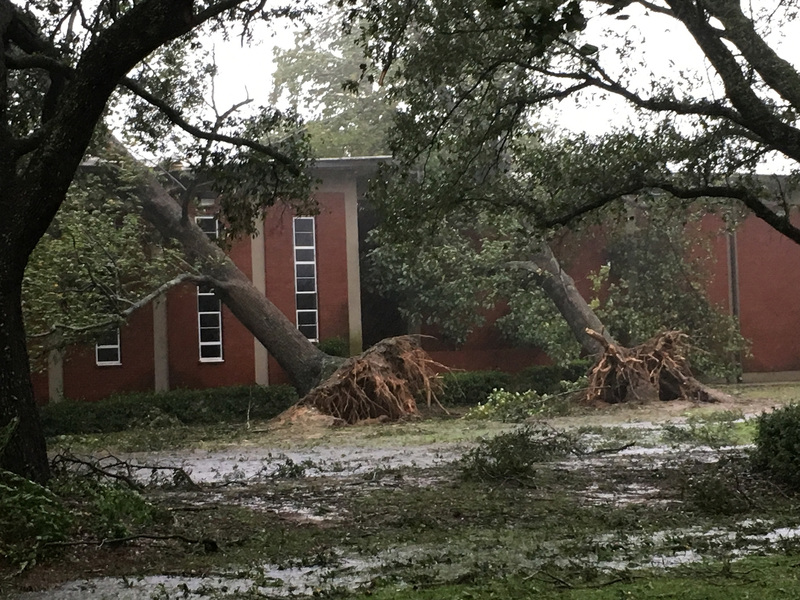 When Hurricane Michael came ashore at 155 miles per hour, there was no doubt the Baptist College of Florida would receive a powerful visit from this uninvited guest. All of the preparations that could be anticipated had been made, and the leadership staff of BCF had met to make sure that everyone was in place and all students were accounted for. When asked about the approaching storm, BCF President, Thomas A. Kinchen, said, “Michael is on the way, but the good news is that our Lord is already here.” He quickly explained that the statement was not an example of pie in the sky optimism but rather that it was a statement of Practical Christianity 101. October 10, 2018, began under literal and figurative clouds of anticipation and dread. Over the last few days, a tropical disturbance off of the Yucatan Peninsula had evolved into a dangerous tropical storm that was well on the way to becoming the strongest hurricane to ever hit the northwestern Gulf coast of Florida. 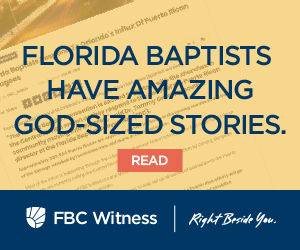 Since many at The Baptist College of Florida (BCF) had little to no experience with hurricanes, there was a great deal of free-floating anxiety that soon became very focused. The general cloud cover soon took on the intermittent periods of strong gusts with lashing rain mixed with an eerie calm. As the day progressed, the effects of the storm became more pronounced and constant. The College had been closed on October 9, 2018, at 1:00 p.m., and only about fifty students remained on campus. Most of the faculty and staff had been busy preparing their own homes for the approaching storm or heading further north. Finally, after making a few wobbles, Michael hit the Florida coast centered just to the east of Panama City. With the College’s location being approximately fifty miles inland, there was no way to tell what the real impact might be, but when Michael began to unleash his full fury on the Graceville community and the BCF campus, it became very clear that the students needed to take shelter in stronger buildings than their residence halls. A couple of years ago, during a period of deadly tornadoes in the area of the College, five storm shelters were installed for the protection of the BCF family. These state-of-the-art shelters are rated at 400 mph wind load and 200 mph projectile load. Students, faculty and staff spent about two hours in the shelters during the height of the storm. They emerged to a campus without electricity, and since it was dark, they could not see the extent of the damage. When the sun rose of the morning of October 11, 2018, Graceville and the BCF campus had been radically changed. Thankfully, the damage on the campus had been moderate. Many of the beautiful trees are gone. Almost every roof has sustained some damage. In many cases the roof damage has led to water inside of the buildings. The list of damages to property could go on, but the most important news is that there were no injuries and no loss of life on the campus or in Graceville. 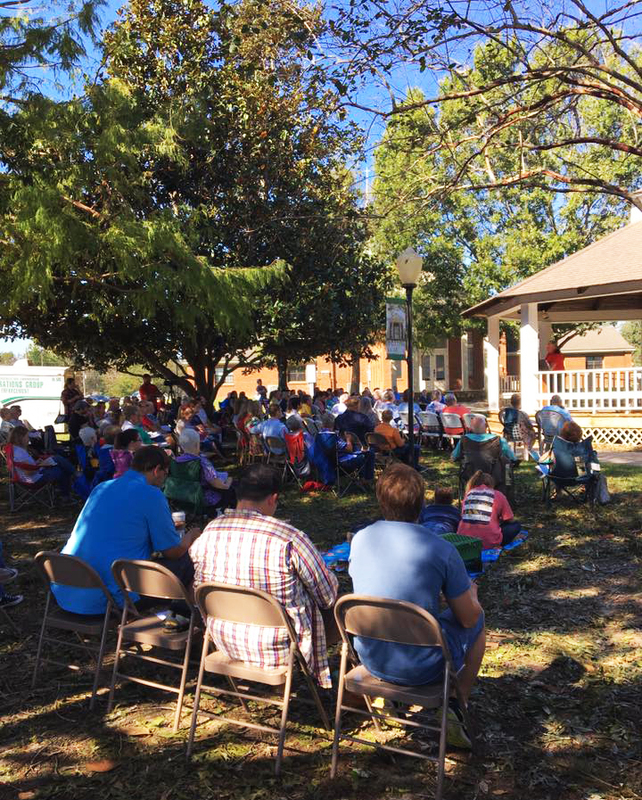 Worship service in the center of the BCF campus reminded everyone that God is in control and there is hope in Jesus. Many were grateful to have endured Hurricane Michael and were filled with praise. The Graceville community was damaged more severely than the BCF campus. However, it was soon clear that the Graceville community had been spared much of the destruction that was suffered in Marianna just a few miles to the east. The Baptist College of Florida has its Blue Springs site at Marianna. This ninety-acre facility provides a 600-bed conference and camping center. In the first pictures of Blue Springs, the facility was almost unrecognizable. Broken and twisted trees blocked roadways and covered buildings. What had been heavily wooded areas are now scenes of almost total devastation. Massive trees are now twisted stumps and ragged reminders of the force of Michael. Immediately after Michael had passed, recovery efforts began. Search and rescue efforts were the first order of business in areas nearer to the coast. Within the first few hours, calls came streaming in as relief organizations and state agencies sought shelter for their staff members who would be serving in the area. Currently, The Baptist College of Florida is hosting approximately 100 officers of the Florida Fish and Wildlife Commission as well as a Disaster Relief group of Texas Baptist Men. Arrangements are being made to house approximately 70 officers from the Florida Highway Patrol. With all of the groups in the College’s facilities, the level of activity on the campus has been unbelievable. Since the first hours after Michael passed, faculty, staff and students of BCF have fanned out across the community serving to cut trees, rake yards, haul limbs and serve meals to those who need a kind hand and a quick smile. With almost everyone in the BCF and Graceville community experiencing some level of damage, pastors of several of the churches met to plan a joint community service for Sunday, October 14, 2018. As the time for the service approached, people began to come from all directions and assemble at the gazebo in the middle of the campus. Folks from across the spectrum of the community sang and prayed together and heard a message of renewed hope and assurance in the ongoing presence of our Lord. In the same place where dangerous winds and torrential rains had been experienced only a few hours before, there was a gentle breeze and cool temperatures accompanied by the beautiful songs of the birds in the trees. God’s peace reigned at that moment when hearts needed it most. For that special time, despair was replaced with hope and the deep sense of loss was supplanted by peace.